Good morning. Gosh it is so cold! Makes you want to just stay indoors and keep warm. This is one of those cards that you don't want to make and now I have three to make. My brother in law died a couple of days ago. It is so difficult for my two nephews because they only lost their mum, my beloved sister Jeanie, last year. What a lot for them to go through in such a short time. 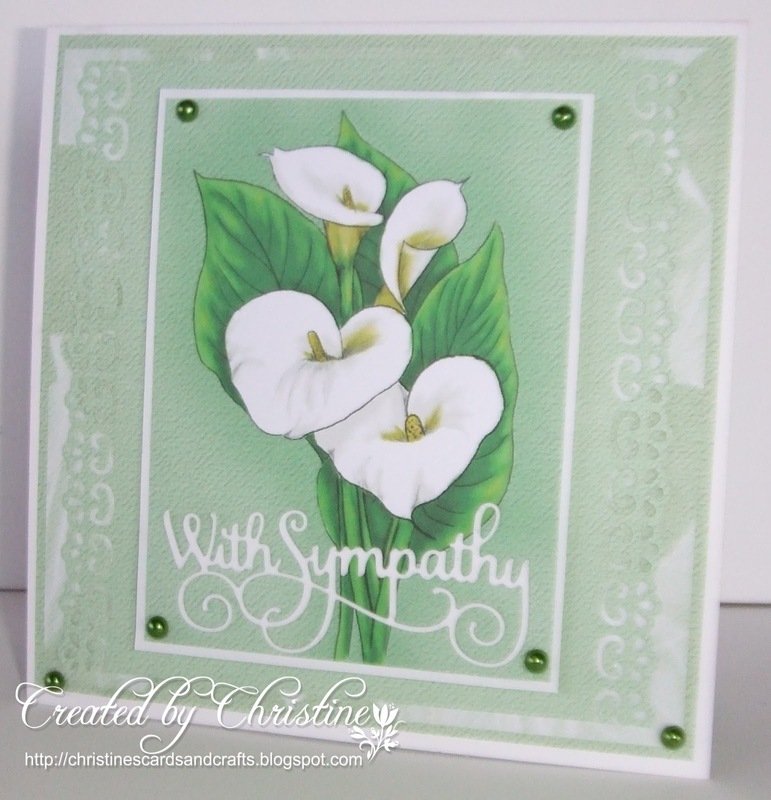 This morning I heard that one of my WI friends lost her husband yesterday so that will be my third card to make. These papers are old stash but really lovely. I used a couple of different ones to cover the front and then covered the inside too. I digitally changed the size of the paper to form a topper and printed it onto card stock. I haven't used my edge punches for so long because we seem to automatically turn to dies these days. However, I think I might be using them more now I have re-discovered them. A few pearls finished it and it was ready to give to my post man, who is good enough to collect my stamped mail for me. I will show the others at a later stage. Sorry yo hear you had such sad losses. Beautiful card. Hello Christine hadn't realised that it was such a close family member that had died, I'm really sorry for your sad loss, a sad time for you all. I like your card very much. Beautiful how you decorated the inside too. Condolances to you, big hug Crealientje. A beautiful card Christine, very elegant. I'm sorry for your losses and that you've had to make so many sympathy cards. 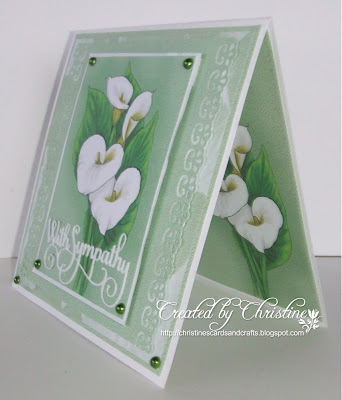 Never easy cards to make but you have done a wonderful job. I actually bought a new border punch at the NEC as I had found mine whilst moving craft rooms and thought they were due a renaissance lol!! !